Need your daily fix of free apps? We’ve handpicked 49 iPhone, iPad and iPod touch apps that are free today only. 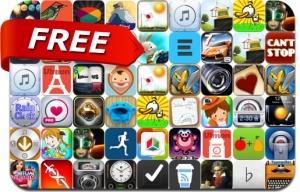 This apps gone free alert includes Infinity Blade, Monster Wars, Legendary Wars, Asphalt 7: Heat, Bubble Galaxy, Turnacle, Bubble Pig, Full Deck Poker Solitaire, Blow Me Up Beginnings, Fractal Combat, Fast Camera, Echograph, Taskable, Runtastic Heart Rate Pro and many others.